Presentations are probably the most questioned activity of public information. It takes a lot of preparation and practice to do presentations well. 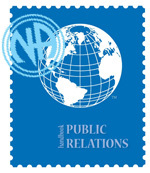 Check out the PR Handbook for guidance on making a public presentation on NA. Below we list a variety of presentation resources from around the world.